What Makes a Great Baitcaster Combo? How to Cast a Baitcaster? What Type of Fishing is a Baitcaster Better For? 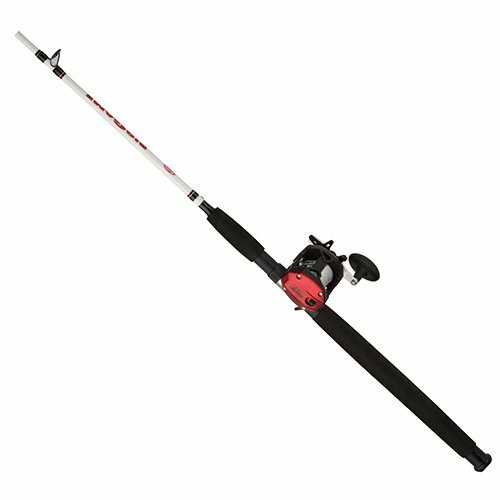 If Either the Rod or Reel Breaks, Can I Replace it? Baitcasting is a style of angling that many advanced anglers have come to know and love. While some may swear by spinning combos, if you’ve never tried your hand at a baitcaster, you’re missing out on a rewarding challenge. This article will guide you through the basics of baitcasting combos and some of our top picks on the market. One of the first things you should consider in any combo, baitcasting or not, is the balance. The weight of the reel should be balanced perfectly to the weight of the rod. This will help with long, smooth casts, and overall, will make your fishing experience a lot easier. The importance of a powerful drag system really depends on the species of fish you’re hunting, among other things. But overall, it’s a good idea to look for a baitcasting combo that offers at least 10-15 pounds of drag power. Making sure your baitcasting combo is made of high-quality materials is essential. The two most popular materials for this style is graphite (super lightweight and sensitive) and fiberglass (strong and durable). If you want the best of both worlds, look for a composite rod. Now that you know the qualities that ALL great baitcasters should have, we’ll walk through some of our favorite baitcasting combos available online or in your local sporting goods store. If you’ve spent any time angling, you’re probably familiar with the name Ugly Stik. Believe it or not, they’ve been in business for over a century. Founded in 1897, they’ve created fishing gear for anglers of all skill levels all around the world. The Ugly Stik Elite is an improvement on a previous rod/reel line from the company, the GX2. The rod is crafted with a graphite and fiberglass composite, but the Elite offers 35 percent more graphite than the rods that have come before. This allows for even more sensitivity when it comes to hunting small catches. The rod also features the company’s signature “UglyTuff” stainless steel guide technology for extra durability and premium cork handles. 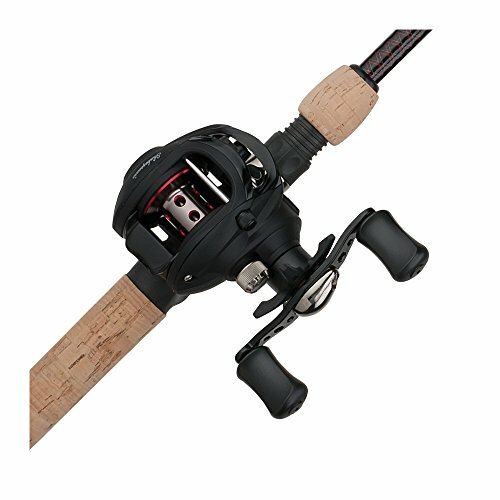 The reel included with the Elite combo has a 2+1 ball bearing system. It offers up to 12 pounds of power in its star drag system, along with an anti-reverse level wind. This particular rod/reel combination is best-suited for use in freshwater. It makes sense that Ugly Stik would be at the top of our list— they’re a well-loved and trusted brand for good reason. The Elite rod/reel combo is a great pick for anglers who need a balanced combination of sensitivity and strength for their next fishing trip. While there’s definitely a learning curve with this combo and the rod is a little higher quality than the reel, overall, this the Elite is a reliable choice. 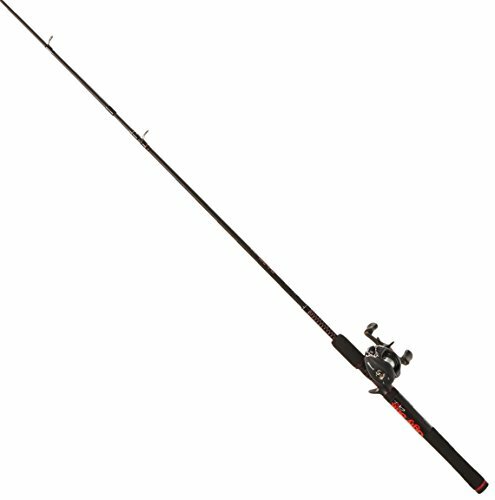 Berkley’s popular Big Game baitcasting rod/reel combo comes in two different sizes: a 6’6” length with medium power and a 7’ with medium-heavy power. Built for maximum power and strength, the rod is crafted with a durable fiberglass blank. It includes corrosion-resistant stainless steel guide frames with aluminum oxide inserts. As an added bonus, the rod also has a convenient hook keeper and a full EVA foam handle. The reel was constructed with sensitivity and strength in mind. It is made with a full graphite body and aluminum handles. It comes pre-spooled with Berkley’s own Trilene Big Fishing Game line. The gear ratio comes in at 5:1:1, and the reel features one ball bearing. The drag system offers up to 18 pounds of stopping power. Each size of rod has a monofilament line capacity of 315 yards. With a sleek black, red, and white design, this combo is one that can outshine many rods/reels on the market. Overall, this baitcast combo from Berkely hits many of the marks that a great rod/reel should. The Big Game is, above all, super strong when it comes to fighting big fish. Although the drag/braking system isn’t the most up-to-date, the fiberglass blank provides 90 percent of the power you need to bring in those trophy catches. Not to mention, it’s super stylish and comfortable to use all day. For the majority of the company’s lifespan, Zebco has stuck to what they know best: spinning reels. However, within recent years, they’ve come out with several baitcasting rod/reel combos that prove that they can hold their own in the world of baitcasting, too. The Propel combo features a 6’6” rod that is ideal for catching mid-range size fish such as Walleye and Bass. It’s crafted with a graphite composite blank that offers the sensitivity and lightweight qualities of graphite, and the durability and strength of fiberglass. The rod also has a split grip cork handle and a conveniently placed hook keeper. The reel included with this combination has three ball bearings and is also made with graphite construction and an aluminum spool for extra sensitivity. It features a well-thought-out drag system, with a traditional disk drag system, instant anti-reverse clutch, and magnetic casting control. 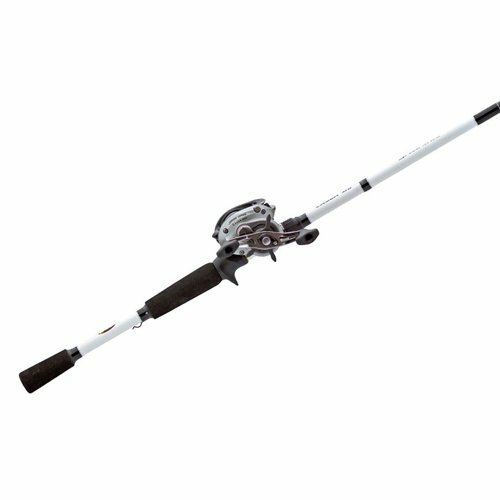 Even with a great drag system and high-quality construction, the Propel rod/reel combo from Zebco still comes at a super affordable price. This is a great pick for anglers on a budget who need a combo that has high value. The graphite composite blank provides sensitivity and strength when it matters, and although the cork handles may be inconvenient for some, this is a combo that will suit the majority of anglers. Another popular pick among many anglers of all skill levels and fishing preferences, the Ugly Stik GX2 line features rods that measure around six feet in length and have varying power options. The GX2 line is constructed with a sensitive yet durable combination of graphite and fiberglass. Graphite contributes to a sensitivity that can detect small bites from smaller fish, while the fiberglass adds a dependable strength that can easily stand up to a tough fighter. To “eliminate insert pop-outs” and add durability, the rod features stainless steel guides. The rod handles are created with lightweight and soft EVA foam handles. The reel that is included is created with full graphite construction for even more sensitivity. It features one ball bearing with a graphite spool, pre-loaded with 12-pound line. The handles are double paddled and created with aluminum for durability and strength. Ugly Stik is a household name for many anglers, known for creating durable products with high-quality materials, and the GX2 line definitely lives up to this reputation. Although you may have to do a little extra prep before using (lubricating the reel, maybe switching out the pre-spooled line), overall, this combo is well-made and can suit a variety of fishing styles. Another pick from the old reliable of angling companies, Lew’s Laser MG is an incredible value for the price. 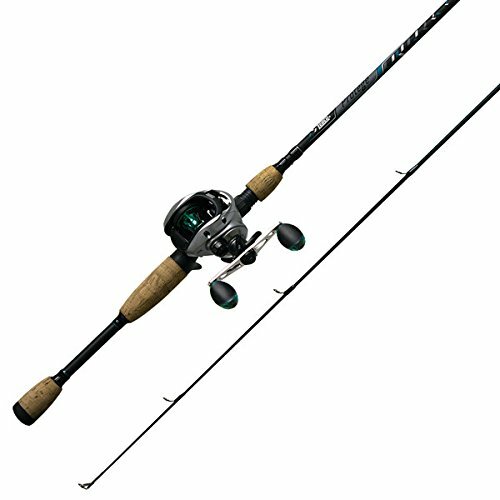 The combo comes with a one-piece, medium-heavy rod in three different lengths: 6’6”, 6’10”, and 7’. The rod blank is created with heavy-duty graphite for sensitivity. It includes stainless steel guides with stainless steel inserts, as well as lightweight dual-grip EVA foam handles. Unique to Lew’s, the rod includes their exclusive skeletal graphite reel seat. The reel included with this combo touts an impressive line of features. It has eight ball bearings and features a one-piece graphite-crafted design. Both the main gear and crankshaft are made with high-quality, durable brass. 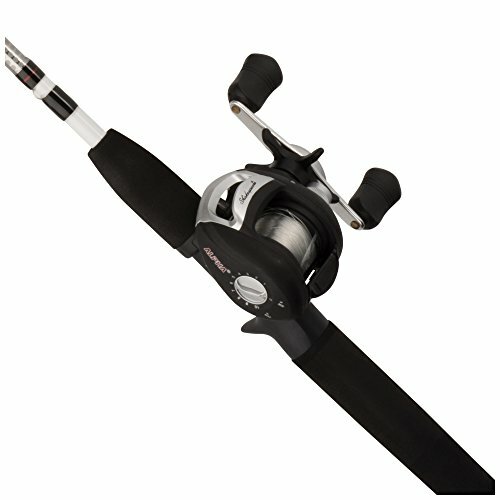 The reel includes a heavy-duty “Rulon” drag system that offers up to 15 pounds of stopping power. It also has an adjustable magnetic control system, which is easily accessible and can be adjusted with a simple movement. Another great pick from Lew’s, the Laser MG is definitely a rod/reel combo worth buying. Not only is it modestly priced, but its got a wide array of features that make it an attractive choice. The eight ball bearing design allows for smooth casting, and the drag system is suitable to put a powerful stop on any fish. While the one-piece design doesn’t make it a great travel rod, it is lightweight enough to carry on your back for a hiking trip. If you are a beginner feeling daunted by the world of baitcasting, don’t worry! There are some great combos on the market that are more geared towards those with less experience, the Shakespeare Alpha combo included. This combo includes a Shakespeare rod, which is constructed with a tubular glass blank. The company says this can provide “a responsive feel and rugged durability.” It has an EVA foam grip for comfort and control. The reel included with the combo is a fairly simple design, without any unnecessary fancy features or frills. It has a lightweight graphite frame, which keeps it easy on the wrists throughout a long day of fishing. It features a traditional drag system, along with multi-stop anti-reverse and adjustable cast control. The reel has one ball bearing. It is pre-spooled with a heavier eight-pound line, which makes it convenient for those who are brand new to baitcasting. Although this rod/reel combo from Shakespeare does have a couple of issues, overall, for a beginner, this is a great place to start. If you can look past the slow retrieval time and figure out how to untangle a line, you’ll see that the rod was well constructed, it’s got a great, no-frills drag system, AND it comes at a great price. Begin with your bait or lure reeled in, hanging around 6 to 12 inches below the rod tip. Ensure that you’re holding your reel properly. It should be face up, on top of the rod. Grip the rod behind the reel with a thumb resting on the reel spool. Some anglers prefer to hold their thumb at an angle rather than pressing flat onto the line— do whatever feels right to you. Bend your casting arm, then sweep the rod forward. When your rod is at eye level, release your thumb from the spool, allowing the line to come off. Watch carefully. When the bait hits the surface of the water, stop the line with your thumb. This will prevent a birds nest. Now that you have some of the basics of baitcasting in your mind, hopefully, you feel a little more encouraged to take the leap from a spinning or spincast reel to a baitcaster. While some may believe that this style of angling is reserved for those with more experience, everyone has to start somewhere. Happy fishing! A baitcaster is a better option for hunting larger species of fish. They’re made to handle heavier weighted line, which is often used when targeting large fish. Baitcasters are also used regularly in ocean fishing, or in settings that require great cast accuracy. Yes. It’s pretty easy to replace a rod or reel if one or the other breaks, or even if either one is simply not suiting your needs. The most important thing to consider is the weight of the piece you’re replacing, as you’ll want to make sure that it matches. It’s also a good idea to check with the company you bought the product from— they may replace it for free!